G.K. Chesterton was a prolific writer. The author of many novels, as well as thousands of poems, there were numerous subjects he wrote about. He touched on everything from religion to history to politics. Due to the varying subjects that he wrote about, and the way he approached each subject, Chesterton is known as one of the most stimulating and well-loved writers of the 20th century. To honor this beloved writer on his birthday, May 29, Ignatius Press is offering 20% off select titles by and about him. Click here for a listing of books. 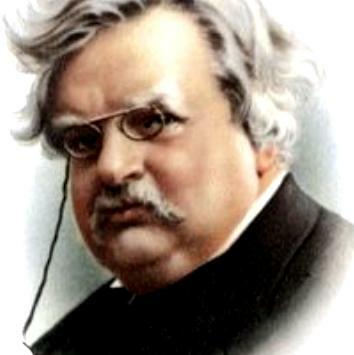 Or visit Chesterton's author page on Ignatius Insight. I had forgotten that the anniversary of Chesterton's birth fell on the same date as mine. That completely undeserved association pleases me.